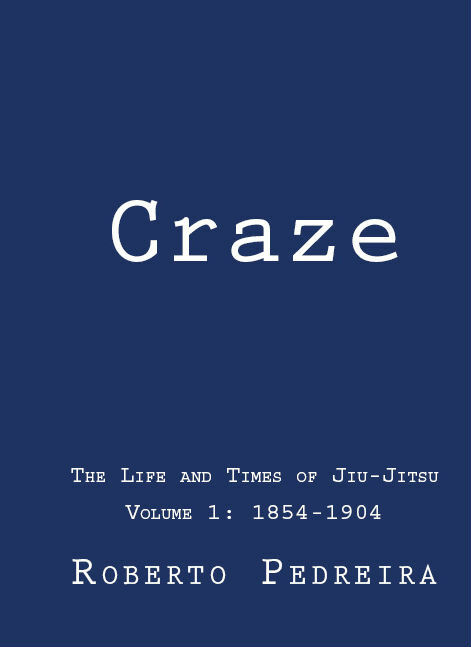 Craze-The Life and Times of Jiu-Jitsu, Volume 1: 1854-1904, by Roberto Pedreira, follows in the tradition of Roberto's previous books, Jiu-Jitsu in the South Zone, 1997-2008, Choque 1, 1856-1949, Choque 2, 1950-1960, and Choque 3, 1961-1999. Volume 1 covers the initial encounters of the West with Japanese wrestling in 1854 up to the end of 1904 when Profs. Tomita and Maeda arrived in America to spread "jiu-jitsu". It explicates and elucidates the cultural, social, political, economic, and military contexts in which jiu-jitsu developed and spread. 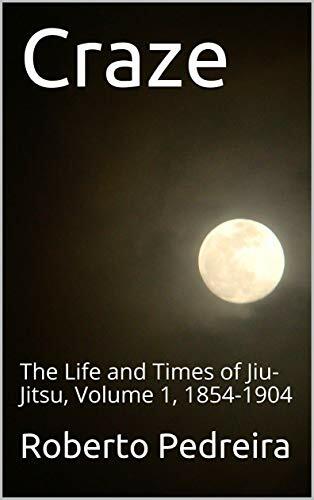 It also provides a detailed look at how jiu-jitsu was modernized and rationalized between 1882 and 1896 prior to its international dissemination, based on old and obscure Japanese sources. Craze1 is 147,400 words, 600 pages, including 8 detailed historical appendixes, references, index, and about 70 pages of illustrations. Craze2 is scheduled for release January 2019. Print edition available October 10, 2018 here and amazon shops worldwide here. Why was Japan a "closed" country? Or was it? How did Perry's visits to Japan in 1853-1854 affect Japan and jiu-jitsu? First contacts by Anglo-Americans with "jiu-jitsu" and "Japanese wrestling"